Filling a high-performance niche above Chevy's well-regarded Impala, the 2014 Chevrolet SS is a quick, rear-drive, V8-only full-size sedan. It may not be the cheapest, most efficient or most outrageous performance sedan on the market, but for those who want a fast car cloaked in an understated package, the SS is a winner. Speed and power amazing reliable could use some engine change style is sleek. Love the torque and the horsepower gas mileage is low it only gets 12 mpg wish it got better plus it takes 93 for gas more expensive to fill love the inside and looks sleek. It is expensive to fix the power suspension blew and to change over to regular suspension which was the best thing to do. Drives smoothly other vehicles do not expect you to be able to pick up quickly. It is roomy the truck has a lot of room to fit almost everything you need. Engine failed twice but the third one has been a charm so far. Had to replace the ac unit. Every vehicle has its goods and bad. Trailblazer ss has power windows seats heated seats you can save your seat settings so when you get in you push one button and it will adjust you to the same position that worked for you before. Car seat fits nicely for those who have kids not a car that I have to worry about with mess. Wish vehicle came in more colors and inside as well. Style, performance, handling and comfort of a sedan! 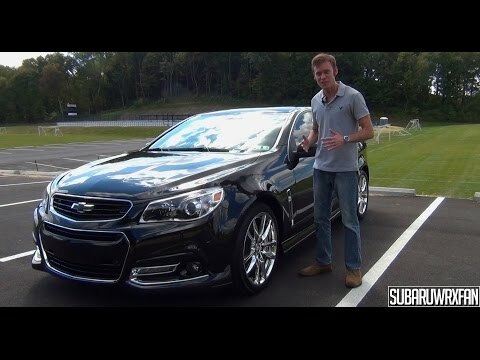 The Chevrolet SS is an awesome sedan, sports car! It has it all! Style, comfort, performance, handling... One of the best! General Motors LLC (GM) is recalling certain model year 2013-2014 Chevrolet Caprice vehicles manufactured June 7, 2013, to May 29, 2014, and 2014 Chevrolet SS vehicles manufactured September 13, 2013, to March 4, 2014. In the affected vehicles, the windshield wiper motor gear teeth may strip causing the windshield wipers to become inoperative. Inoperative wipers will not clear rain or snow, reducing the driver's visibility, increasing the risk of a crash. GM will notify owners, and dealers will inspect the wiper module assembly and replace any affected ones, free of charge. The recall is expected to begin in early August 2014. Owners may contact Chevrolet customer service at 1-800-222-1020. GM's number for this recall is 14295. General Motors LLC (GM) is recalling certain model year 2014 Chevrolet Caprice vehicles manufactured August 14, 2013, to February 3, 2014, and Chevrolet SS vehicles manufactured August 15, 2013, to February 16, 2014. The affected vehicles received replacement seat base assemblies during repair service, but during the work, the seat position target bracket may not have been transferred from the old seat to the new one. Without the seat position target bracket, the air bag may deploy at a higher intensity than necessary. An air bag that deploys at a higher than intended level increases the risk of injury during a crash. GM will notify owners, and dealers will inspect the vehicles and, if necessary, install a seat frame equipped with a target bracket, free of charge. The manufacturer has not yet provided a notification schedule. Owners may contact Chevrolet customer service at 1-800-222-1020. GM's number for this recall is 15567.